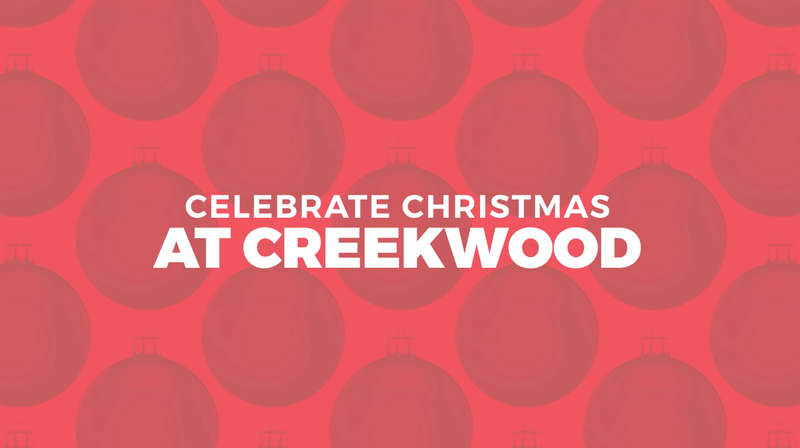 Christmas at Creekwood is an unforgettable experience that we’d love for you and your family to be a part of. In this family friendly service, classic carols will be sung and the Christmas story will be told in a fresh way to remind us of what this season is truly all about. Afterwards, we'd love for you to stroll through our Kids facility that's been transformed into a magical Candyland where Santa and his reindeer would love to take pictures with you and your family! We have had an overwhelming response to our Christmas at Creekwood services this year. All remaining services are at full capacity. If you were unable to get tickets please feel free to come with your family and we will do our best to find you a seat in our overflow seating. Christmas services are the most attended of the year. Because of that, we ask that everyone reserve a free ticket online and bring that ticket with them to service. This helps us save a seat for you and your family. Help us make Candyland more magical than it's ever been before. Be a part of this process as we build Candyland together. Every Christmas our volunteers have a unique opportunity to create a welcoming and exciting environment for people visiting Creekwood for the first time. We want our guests and church family to have an unforgettable experience this Christmas, and we’d love for you to help us make that happen! Take a stroll through our magical Candyland this Christmas. Enjoy all the cotton candy, hot chocolate, and popcorn your eyes can see. Be sure to bring your camera because you will have an opportunity to take a picture with a holly jolly Santa and his reindeer. How long is the service and when do the auditorium doors open? The services will be approximately 55 minutes long and we will begin each service promptly on time. The doors will open 30 minutes before each service time. Do I need to reserve a ticket for my children? Creekwood Critters will be available for children 36 months and under. Children over 36 months will require a ticket. If a child can sit on your lap, they will not need a ticket. Is there a limit on how many tickets I can reserve? You can reserve tickets for up to eight people. Please only reserve tickets for the number of people in your group who have confirmed they will be attending. Can I present my tickets on my mobile device instead of printing them? Yes, you may present your ticket(s) on your mobile device at the door. Is a ticket required to attend the services? Are they free? Reserving a ticket in advance will ensure you a seat in service. If you do not reserve a ticket, we cannot guarantee you a seat in your desired service. There is no cost to attend any of the Creekwood Christmas Services. If you arrive after the start of service we cannot guarantee you a seat. Once I make my reservation, how do I get my tickets? You will be emailed a confirmation which will include a link that allows you to print your ticket(s). You will need to bring your ticket(s) with you to the service. *Please see link below to re-email your tickets.